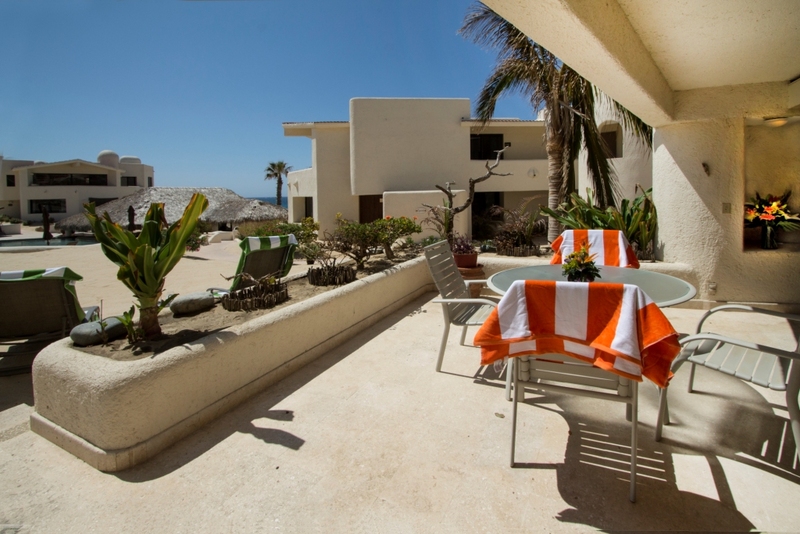 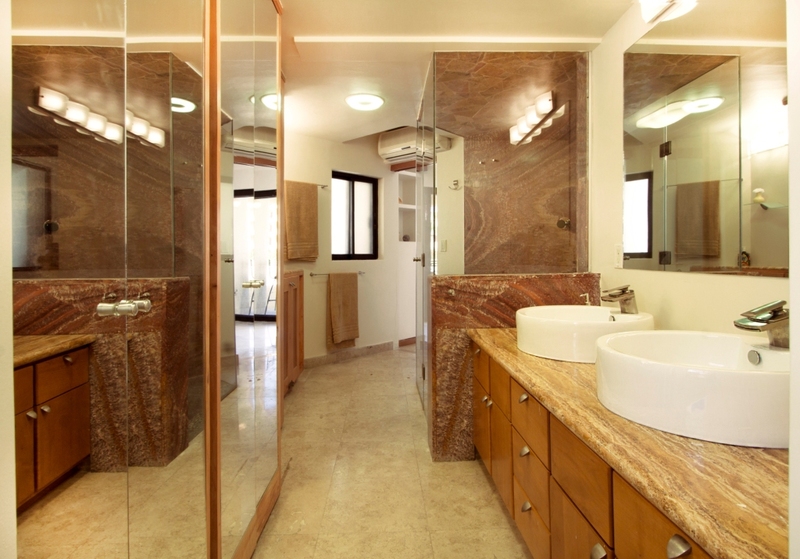 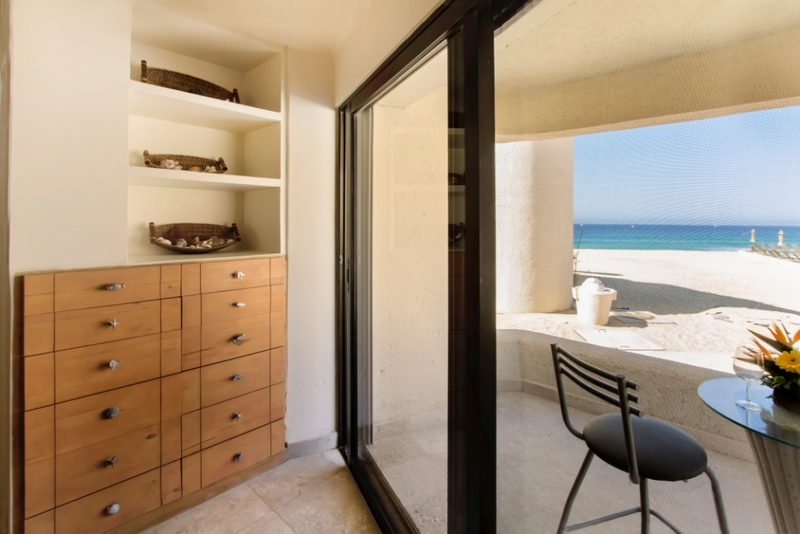 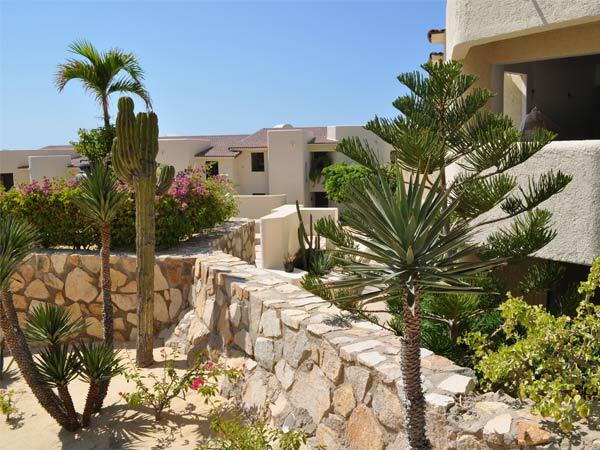 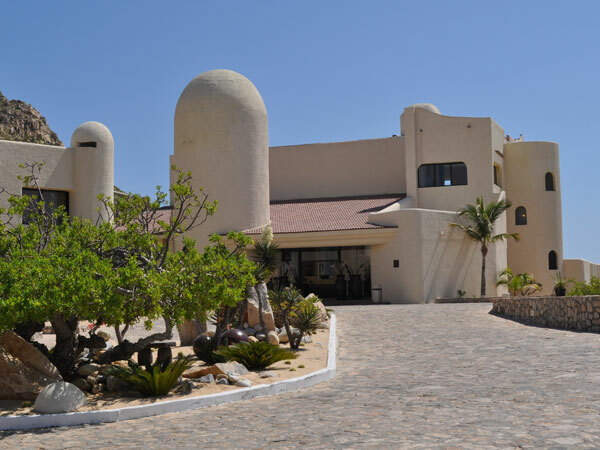 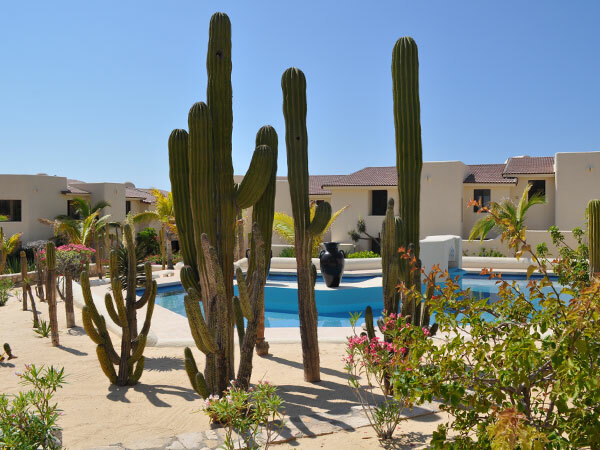 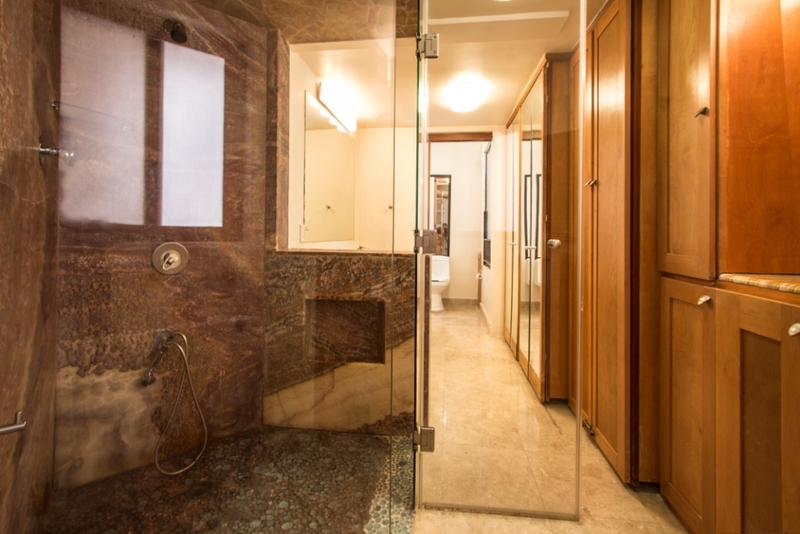 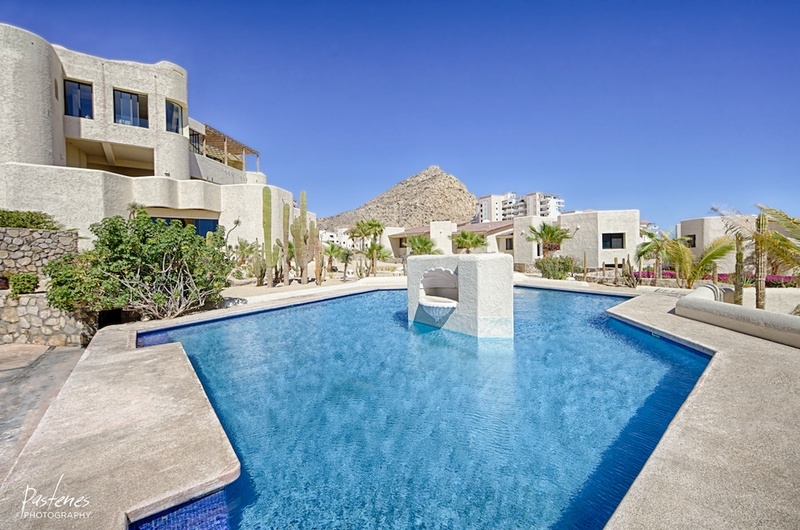 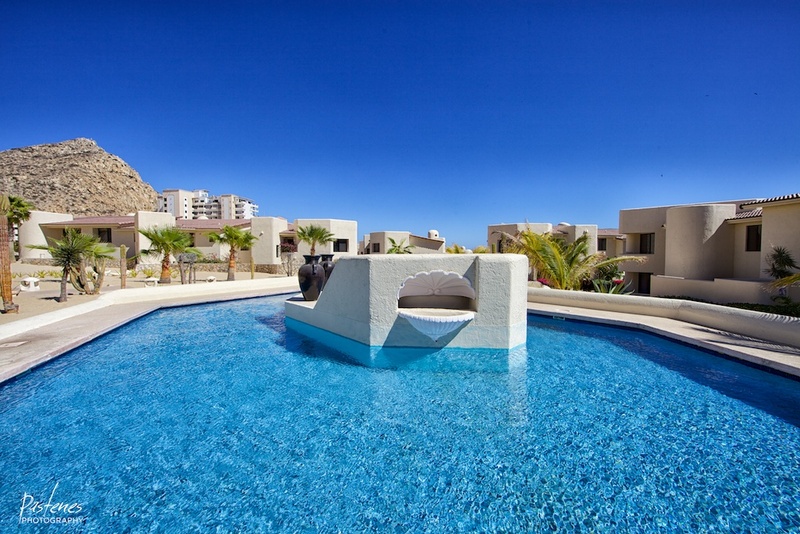 End Unit, very private condo – built ‘on’ the beach, less than a KM from the tip of the Baja Peninsula. 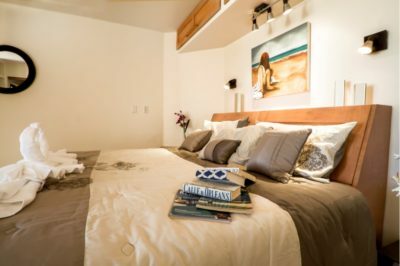 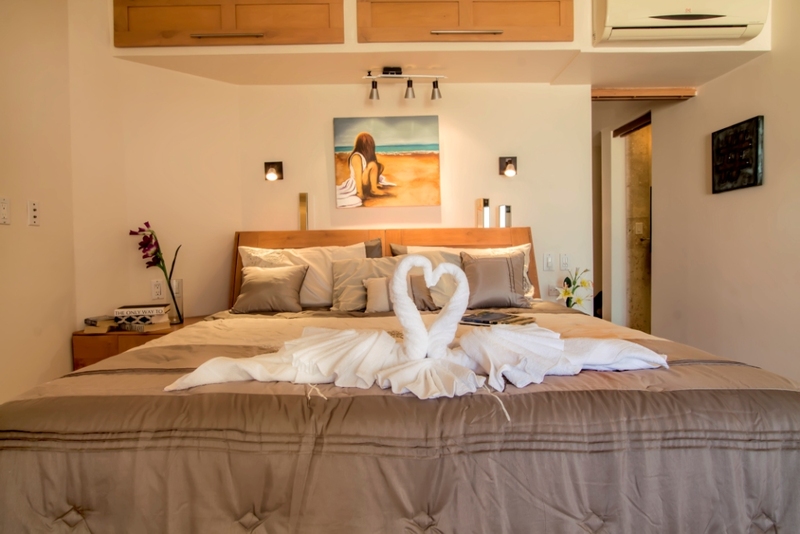 Recently totally remodeled, this unit has high ceilings, a front wrap-around deck – walk onto beach and another deck off the main Master Bedroom. Walk onto beach sand from our condo – less than 50 meters over beach to either the 1st or 2nd pool and another 75 meters to the edge of the ocean. 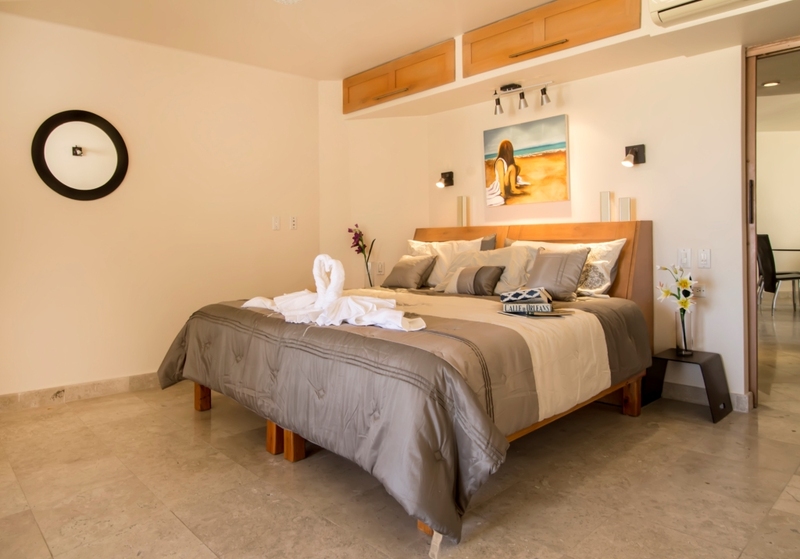 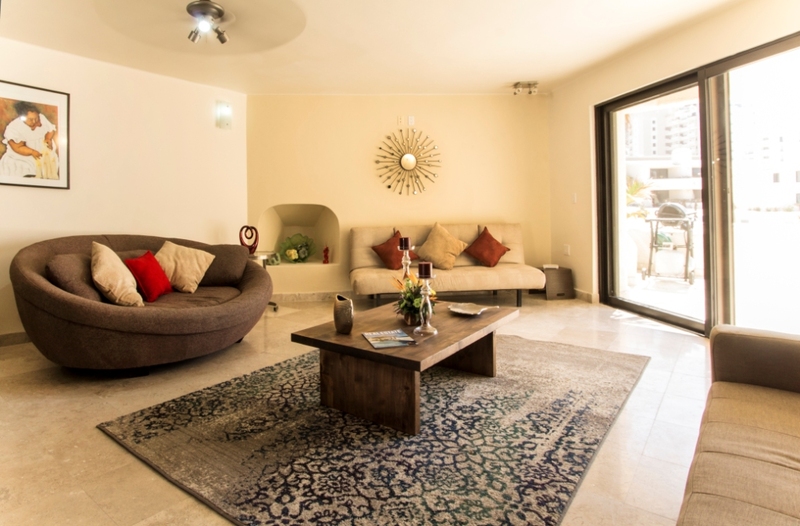 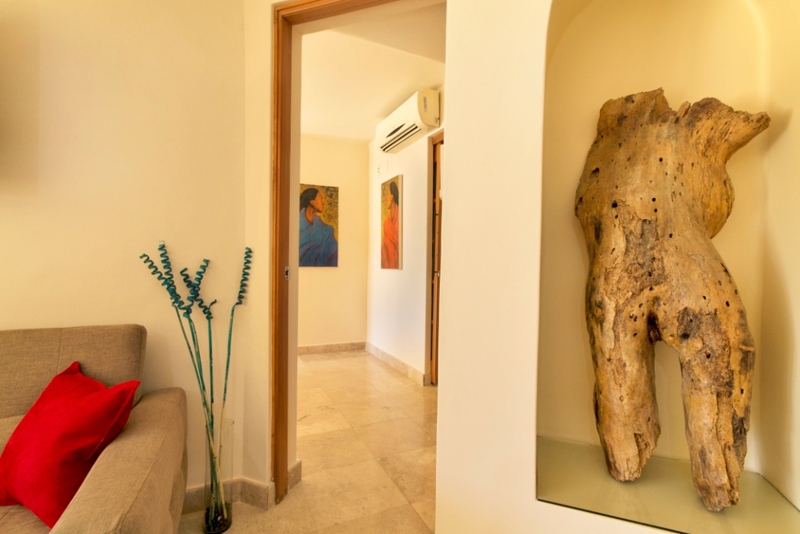 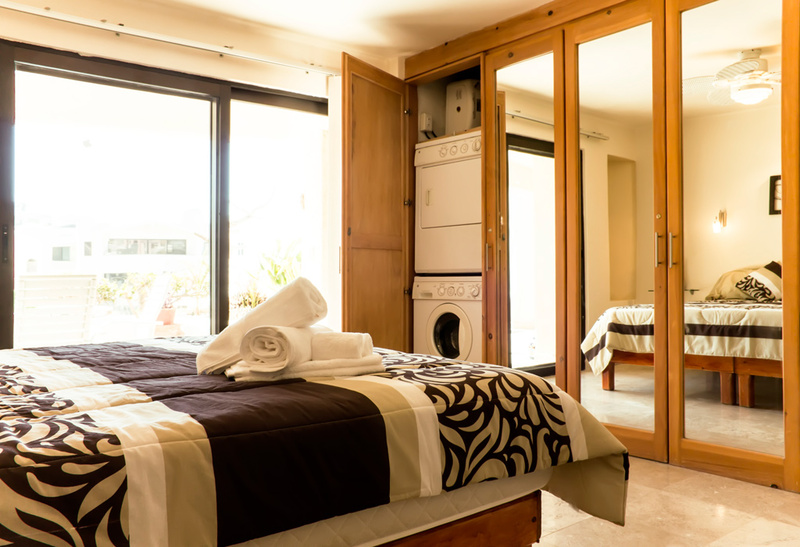 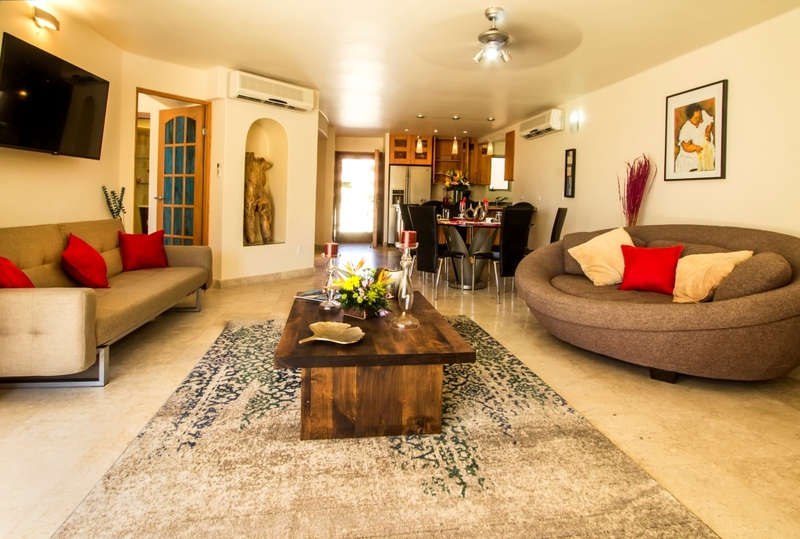 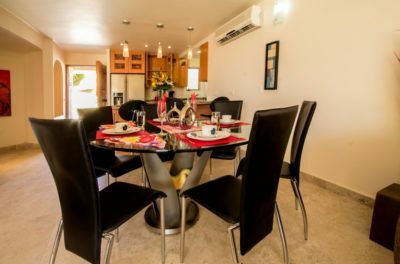 Condo is tastefully furnished with fine authentic Mexican craft and modern artwork, comfortable and tasteful furniture and tables, wall hangings, planters, crockery, and wall cabinet-credenzas. 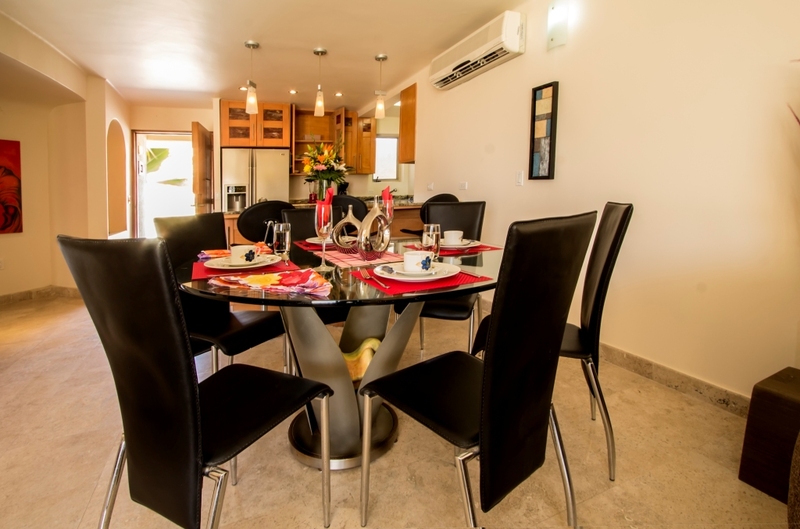 The Kitchen is open, with a view to deck and pool, ocean, it is modern and fully-equipped with wine-fridge and pantry. Dimming and recessed lights throughout the apartment. 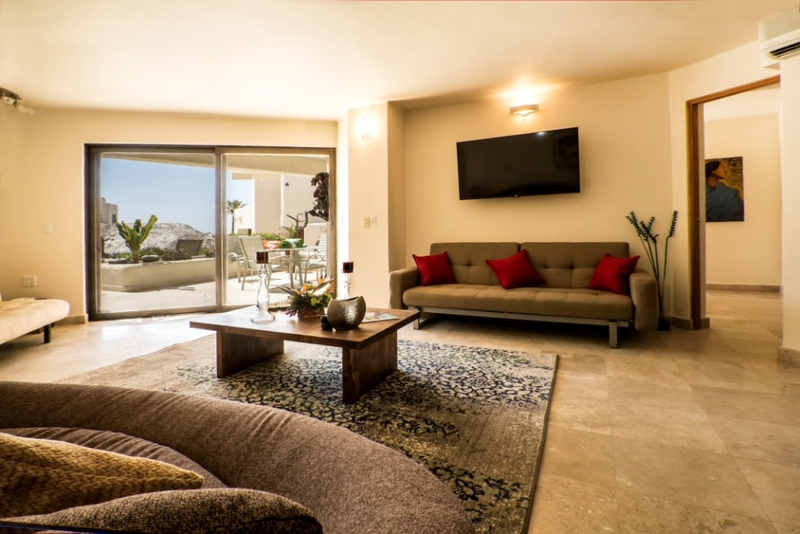 WI-FI: We have added WIFI to unit 131 – giving you High-Speed, password-protected Secure Internet Access in the condo and on both Decks. 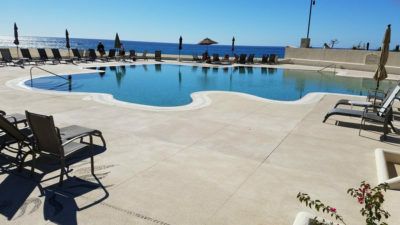 We visited Cabo San Lucas and thoroughly enjoyed the experience. The Terrasol is located in a perfect “getaway” location that is convenient to the beach, pool, and dining/shopping in town. 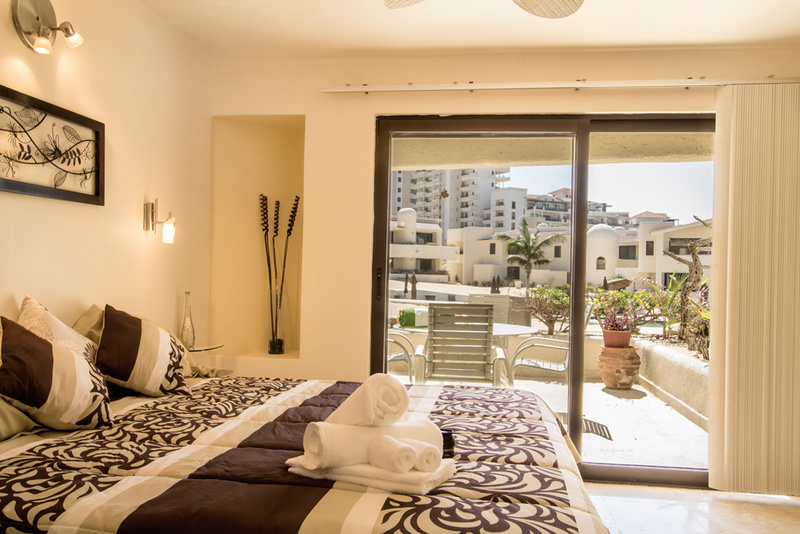 We stayed in unit 131 and the condo is very well maintained and the appliances are modern and very adequate. 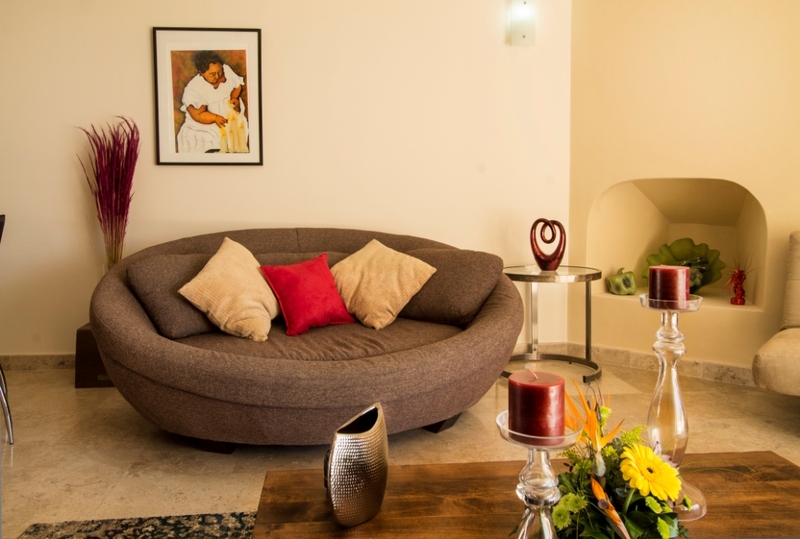 One of the highlights of the property is the staff. 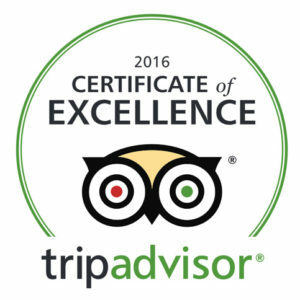 They are very helpful, attentive and more than willing to provide tips and guidelines for area attractions. 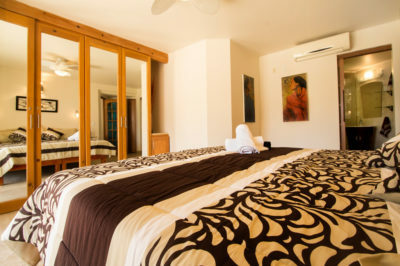 We highly recommend this location for those wanting to stay in a quiet, family oriented location that is close to the night life. 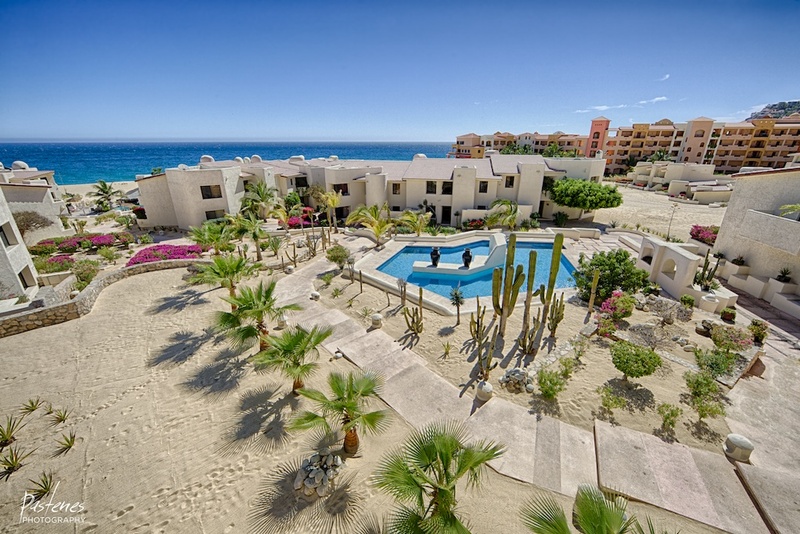 Terrasol Unit #131 is amazing! 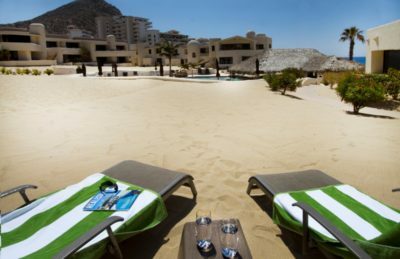 You will wake up in the morning with a very tough decision to make…walk 25m to either of the 2 huge swimming pools OR walk 50m to water’s edge and put your toes in the sand and wait for the Pacific Ocean tide to roll in. 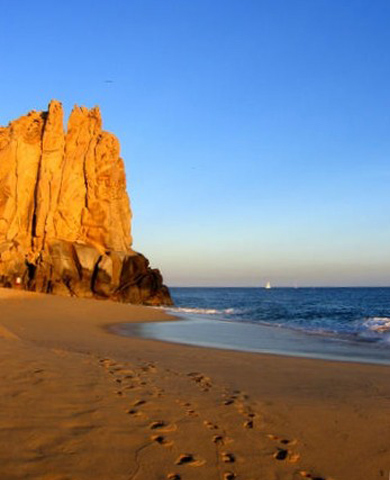 And, you can walk to town to dozens of great bars, restaurants and shops..no car or taxi needed. 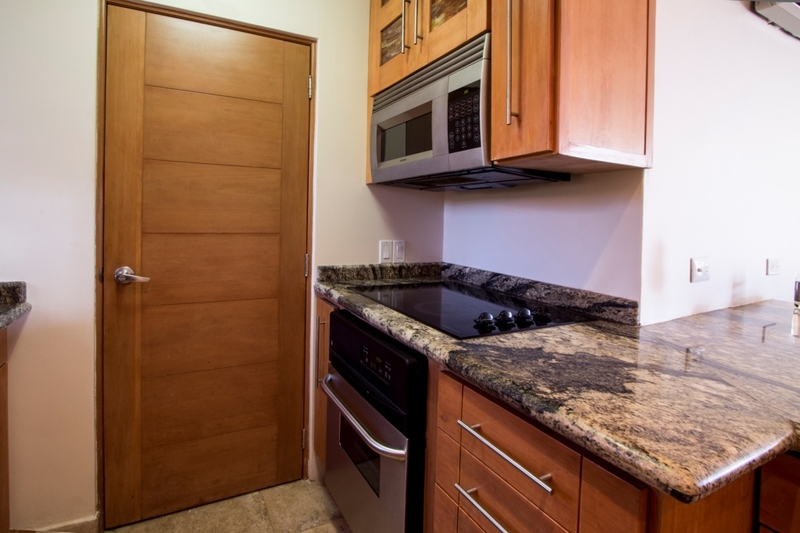 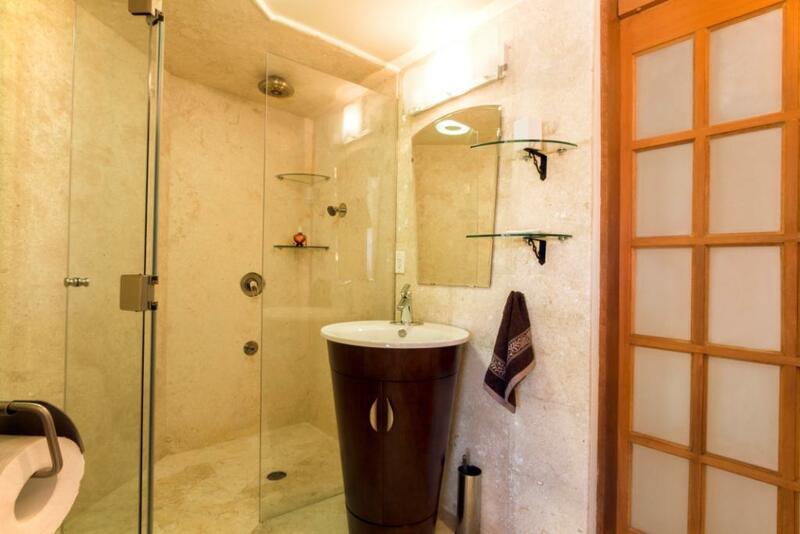 The Unit has been completely modernized and the price CANNOT be beat. 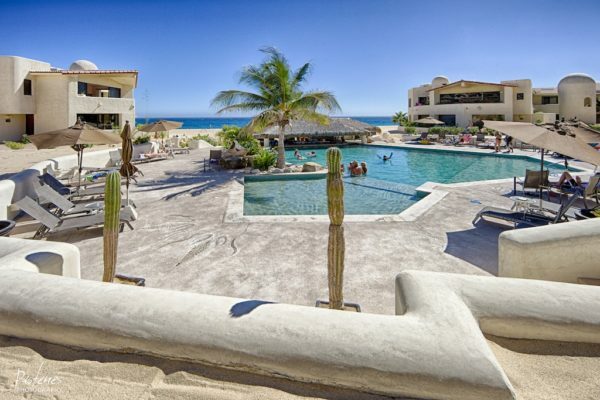 There are 4 other 5-star hotels on this private Solmar Beach and the rates are at least DOUBLE what you will pay here. 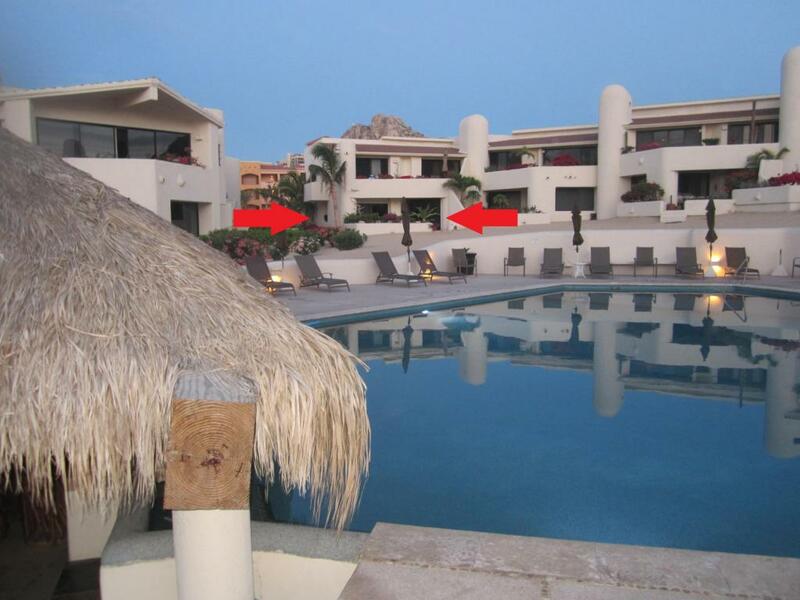 And you get a completely furnished 2 bed 2 bath private condo instead of just a hotel room. 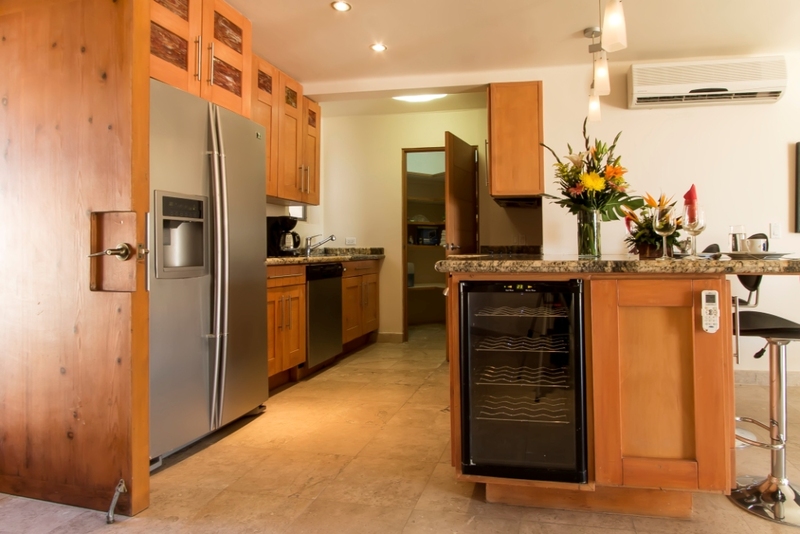 Complete amenities satellite TV, private wifi, bbq..totally amazing. 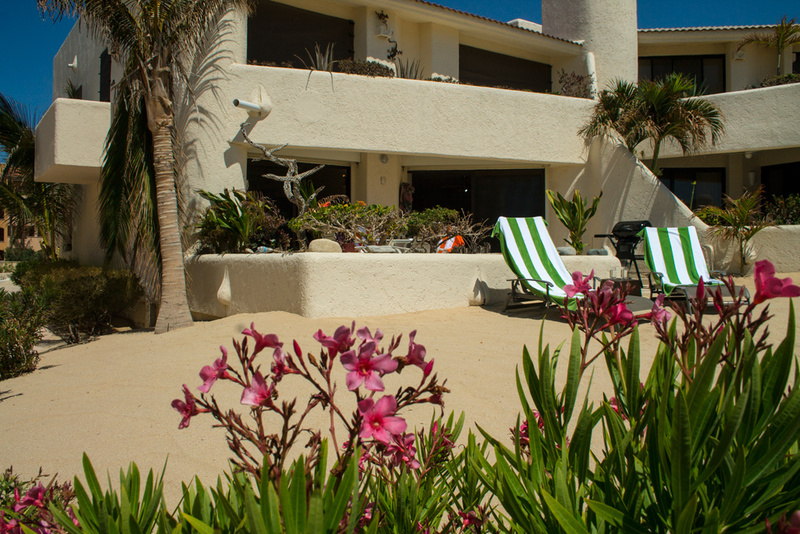 And the manager/agent Craig will see to your every need with prompt and courteous attention. 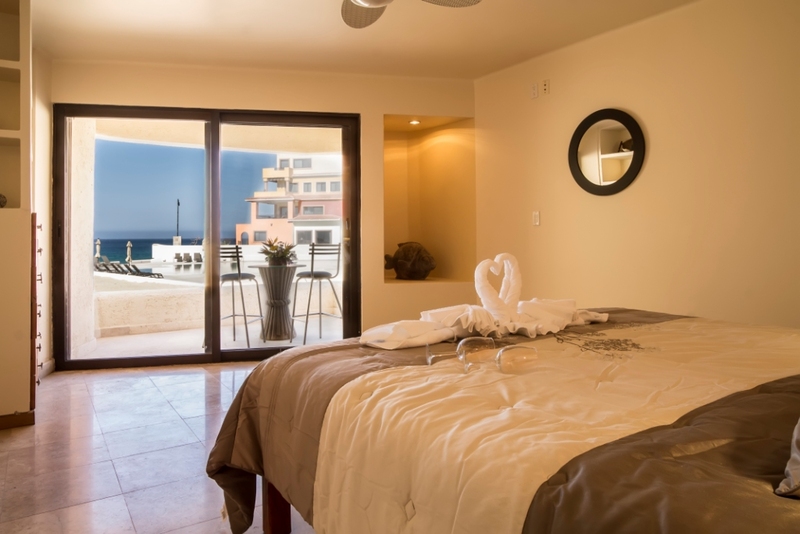 Do not stay anywhere else in Cabo..I have been going to Cabo for 25+ years and stayed a lot of different places, but Terrasol #131 is my favorite. 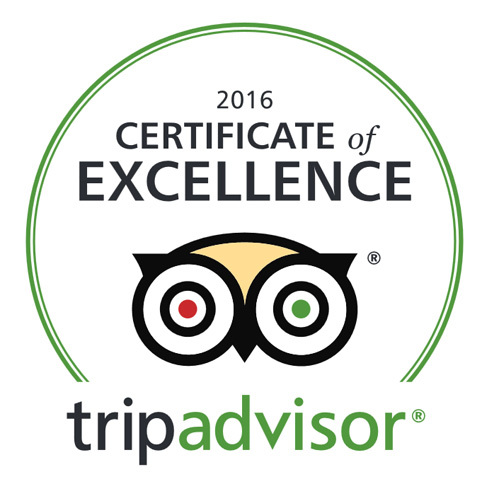 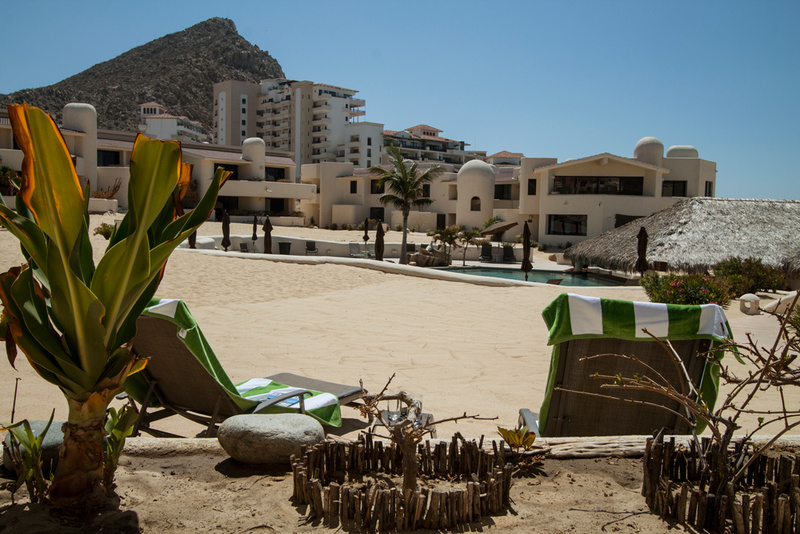 The complete Cabo experience…at half the price! Wow, we’ve stayed in many many Terrasol units over the last two decades and just found one of the finest [condos], unit #131 is a GEM. Very stylishly renovated, light and bright, modern and and well located within a hop and skip of not one but both pools!! 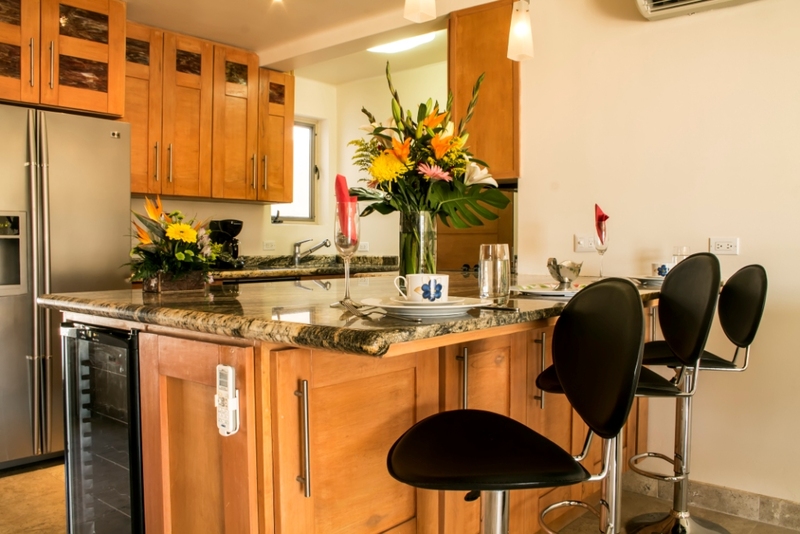 It’s very large has everything including deck chairs, umbrella, gas BBQ and a wine fridge, who could ask for anything more? 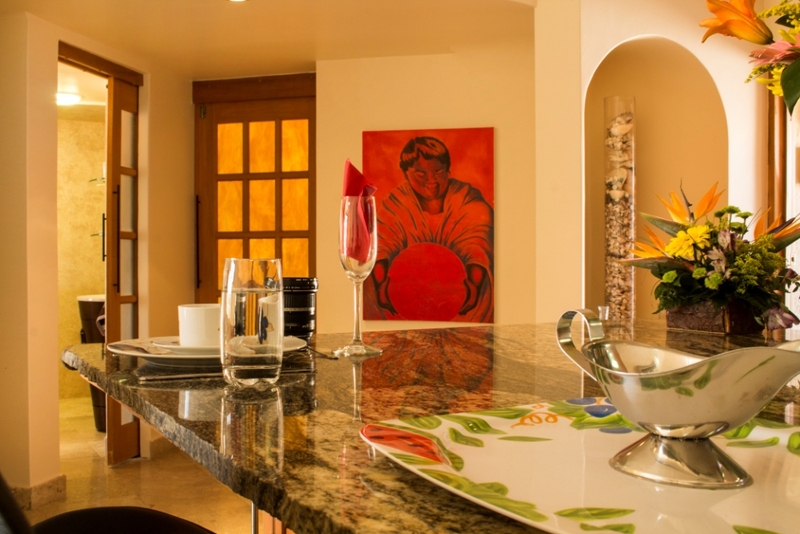 Craig who has more than 10 Terrasol condos, is the quickest, most responsive and professional person to deal with. 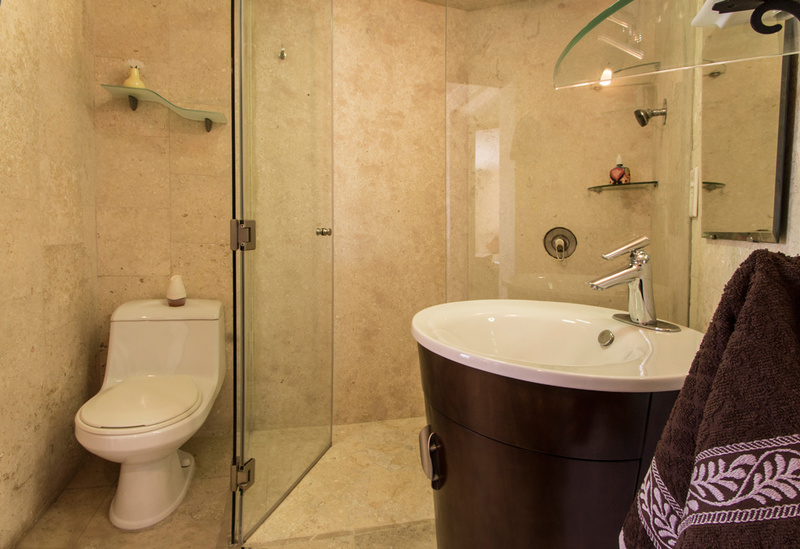 We highly recommend unit #131!